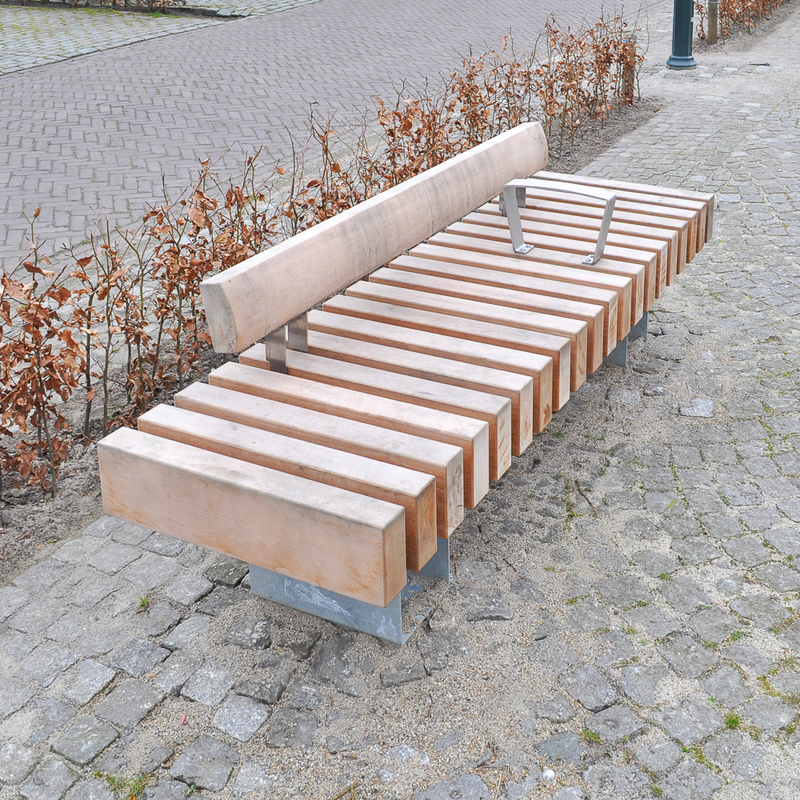 Rough&Ready Crosswise Benches are straight benches on which robust beams (7 x15 cm - 2.8”x5.9”) are laid crosswise. The Rough&Ready beams have a depth of 60 cm - 24” and are embedded in a support rail with Streetlock® comb. Due to the crosswise positioning of the beams, a natural anti-skate solution is created. 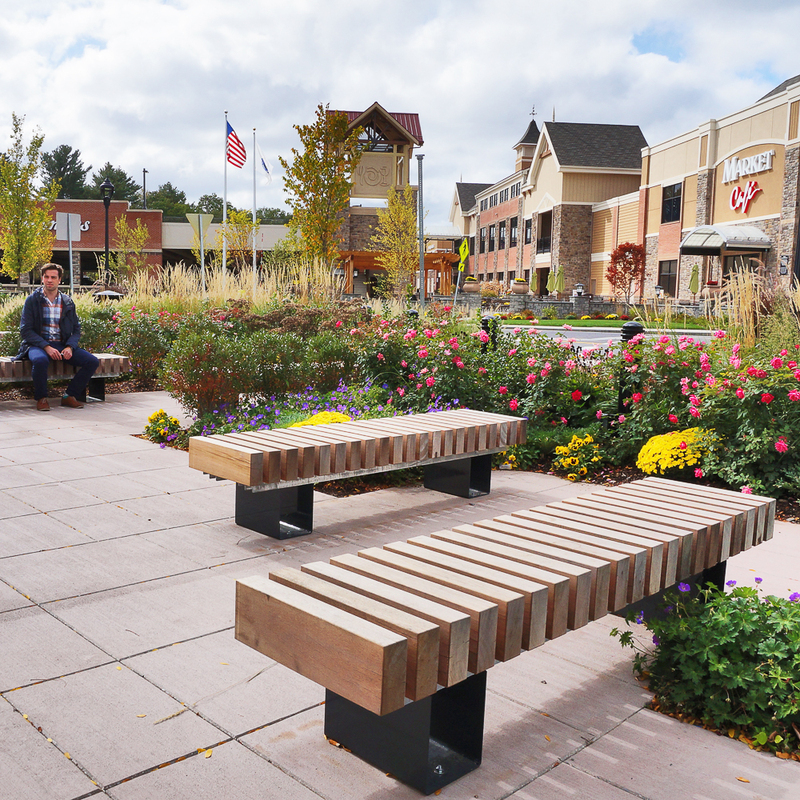 The Rough&Ready Crosswise Benches can be beautifully combined with the Rough&Ready 6 Benches or Rough&Ready Curved Benches. Low, high and Royal backrest elements as well as the universal armrest can be optionally mounted. 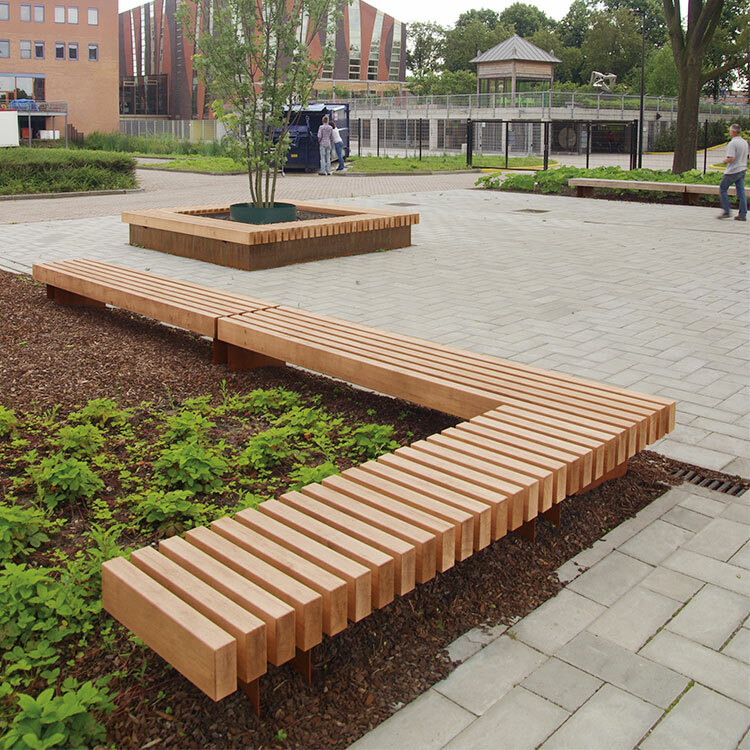 By combining Rough&Ready Crosswise Benches with straight benches, a wide variety of playful and surprising configurations can be created. Whether standing alone or in combination with trees, the module can be used to create an angular and irregular configuration. 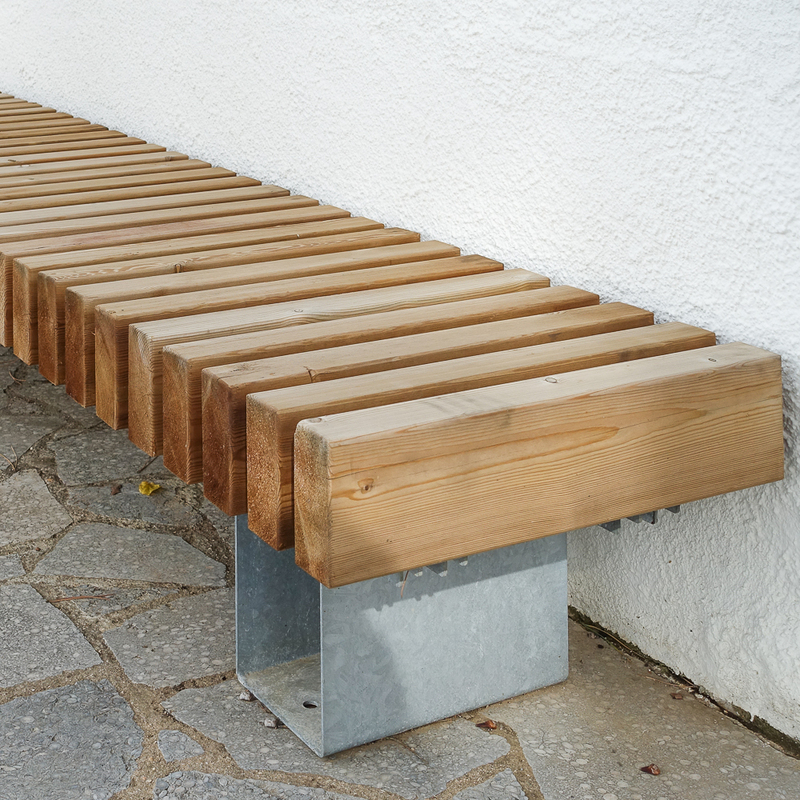 Just like the entire Rough&Ready Range, these benches are also available in All Black.